Doctors at a GP surgery have blamed UK-wide staffing and funding problems for their decision to quit their East Ayrshire practice. Partners at Glencairn Medical Practice said it was with "immense sadness" that they were resigning from their contract with Ayrshire and Arran Health Board. They said it would have been impossible to maintain clinical standards. 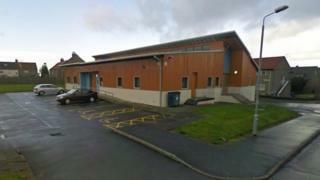 A spokesman for NHS Ayrshire and Arran said GPs in the area were funded according to NHS financial guidance. Partners at the practice, which operates from Kilmaurs and Crosshouse surgeries, said they would hand over running of the service to the board on 1 August. A statement on their website said: "For some time now, the practice has been experiencing the UK-wide staffing and workload pressures that are now nationally recognised to be affecting General Practice. "Unfortunately due to a range of pressures, running of the practice with the present funding stream has become impossible. "The partners sought support from NHS Ayrshire and Arran; however, there were not sufficient resources to sustain the practice in its current form." Eddie Fraser, director for East Ayrshire Health and Social Care Partnership, said: "We will work to ensure that patients continue to receive general medical services and if necessary will take over the running of the practice directly." He added: "GPs are compensated for the size of their practice list, their geographical area and the health demographic of their patients."